But what about Cong's American connection? You'll find it right here on the corner of main street. 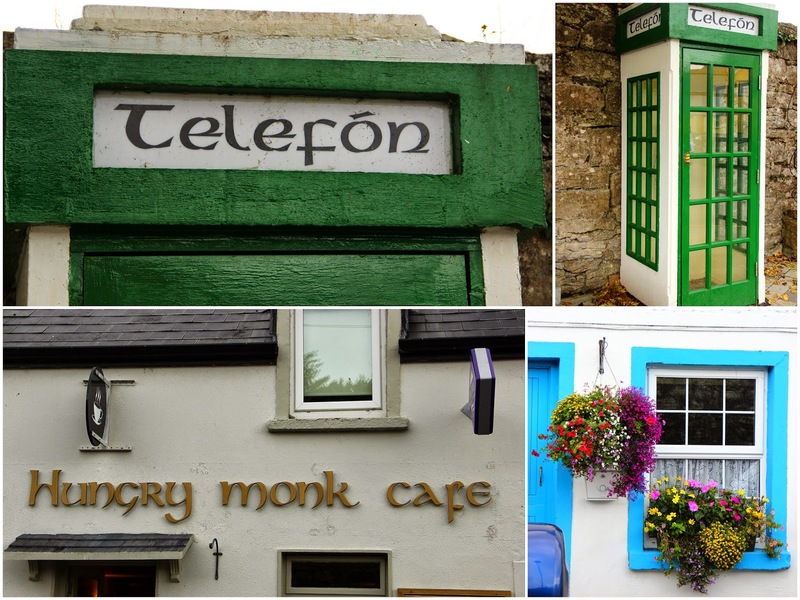 Cong was the site of John Ford's 1952 film, 'The Quiet Man.' starring John Wayne, Maureen O'Hara, Ward Bond, and Barry Fitzgerald. As you can see, Cong is very proud of that! 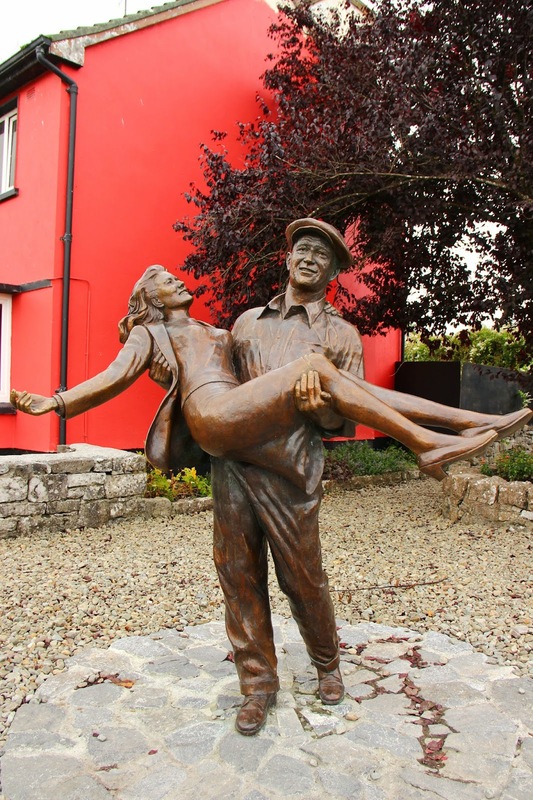 Not only is there this life-size bronze statue, but you can also visit The Quiet Man museum which is located 'round the corner in the very cottage that was used as Mary-Kate and Sean Thornton's home in the movie. Of course, I had to buy the DVD when I found it in a Galway bookstore. It's your typical boy-meets-girl movie. True love is thwarted by Mary-Kate's nasty brother and a old Irish tradition regarding her dowry. But in the end, Sean beats up the brother, secures the dowry, and they all live happily ever after. You won't be watching this film for its plot! But do watch it for the stunning scenery (filmed on location in and around Cong) and its thrilling horse race.